Get to know the 60-year old tv-personality, actor, Vincent D’onofrio, before he got famous (e.g. Starred in Full Metal Jacket (1987), Law & Order: Criminal Intent, Men in Black (1997), and Jurassic World (2015)). IMDB reports Shooting 'Full Metal Jacket' (Documentary) was Vincent D’onofrio's first TV appearance in 1986. In 1983 he starred as Lobotomy in his first movie The First Turn-On!! . His home town is Brooklyn, New York, U.S.. His parents Gennaro (Gene) D'Onofrio & Phyllis are of Italian ethnicity. 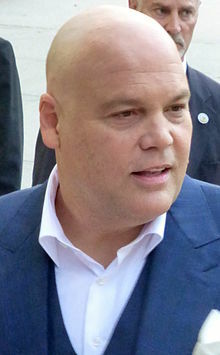 Vincent D’onofrio was born on June 30, 1959 on a Tuesday. Share your real life experiences with Vincent D’onofrio here and rate your meeting! Correct our wiki/bio - is he not gay or straight or of different heritage? Let us know!